‘Every now and again in cinematic history a classic is born. 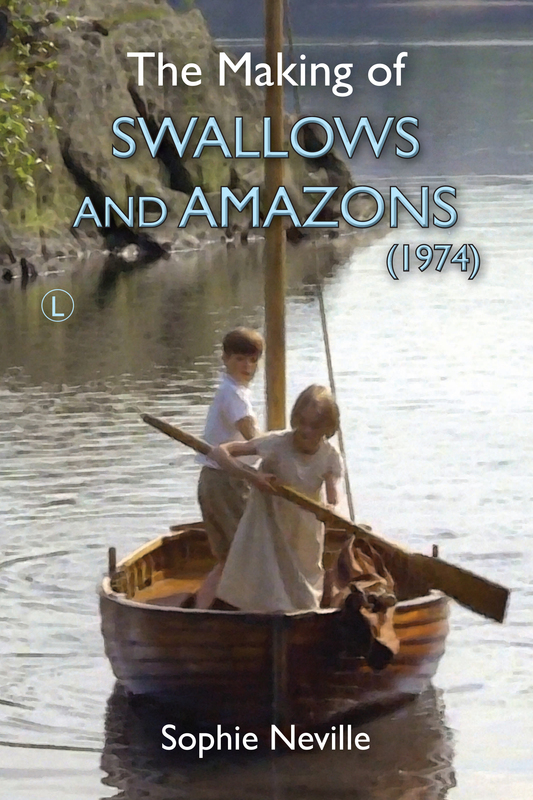 It doesn’t have to be a multi-billion pound blockbuster featuring legendary names, sometimes something timeless and endlessly endearing is born and this is most definitely the case with ‘Swallows and Amazons’. ‘This film has become an old friend to me; I must have watched it a thousand times and I never tire of it! It brings back memories of a summer childhood spent in wonder-filled Cumbria, in particular Windermere, Ambleside, Derwent and Coniston Water; places we’d visit as a family before the fates would, sadly intervene. I’m glad you like the photograph of setting the leading lights. I haven’t used it before. Yes, mfmsm, AR’s honed style brings such immediacy to the description – recording sights and sounds as if jotting in a notebook about a journey, the children storing up each new thing on their adventure. As a child experiencing new places I used to ‘list’ my surroundings when writing to relations etc – the colour of the sky, then the way the hills were, then the shimmer of the lake, the colour of the grassy slopes. Just think how novel this was to them: superficial commentators on the S&A books forget that the Swallows were newish sailors venturing out in a borrowed boat. And the film put this across beautifully! Hello Martin – yes, absolutely. And yes, how sensitively Ransome (and Whatham) depict the innocence and experience of the children. Might you consider putting some of your thoughts into a piece on http://www.allthingsransome.net/literary/indexexploringarbooks.html? I’ve ventured into e-print there a couple of times; I wanted to explore WHY the Ransome books endure and endure, through generations of children, but my piece there focuses on how in children’s and adult literature the characters should drive the plot; yours is a terrific new angle – how fine writing need not impede young readers and indeed draws them in. You are an exotic and welcome new bird in Sophie’s lovely aviary-blog, but I feel that you need a permanent online home for your material! Exploring WHY the Ransome books endure and endure would be a great blog post here. Do add your thoughts if I may quote you, Jill. Is it the subject matter – exploring wild places without adults? Are there elements of style that are attractive, such as splitting the action into different strands. And what holds it back and makes it seem terribly old fashioned. Where does it fail? I do have literary friends who sail and yet found they couldn’t keep reading S&A. With due respect to your friends, Sophie, I think of the man in the straw hat on the Rio jetty – a wonderful touch by Whatham… in other words the man who cannot understand the enchantment of childhood….and this is exactly what the chilliness of the children (at this point in the action) conveys. Notice Whatham brilliantly contrasts this with their warmth towards the charcoal burners. Making the point that there are authentic and inauthentic categories of adults. I have a very interesting suggestion which I have put to an (American) ex-colleague, to look into how far three ‘northern’ writers (1) Wordsworth (2) Ransome and (3) John Cassidy (www.jrank.org/literature/pages/3565/John-Cassidy.html) may be appreciated by foreign students; and to use this as an MA subject at Roehampton, the locus classicus of English Children’s Literature these days. It is early days, but she is likely to meet them in the next two weeks and it will be interesting to see if she can convince them about such a project. Like so many TEFL teachers, she is horrified by the narrowness of the terrain within which most of us are constrained to operate – and to which tendency I am, so far as I know – the unique and bizarre exception… Of course, she will have to dodge the nomenklatura in her turn, but this is just history wonderfully repeating itself… The point I was trying to make to Jill upends all solipsitic notions of creativity and looks for constants in literary or musical creation. I would say that Ransome is of his time, but then so is “Swallows and Amazons’ (1974 film) – and this is not a criticism. The whole project with great literature is to rediscover the subtexts from the historical and social context of their creation. Superficial theatre directors or opera directors skip this task, however – as Whatham did not – and impose a post-modernist take on just a few salient and easily digested aspects of the classic work. The opera of The Tempest, a few years back, which failed even to quote Shakespeare’s own words (it was written by a friend of mine who has achieved fame in the era of Thatcher rather than Wilson) is a case in point! Sophie, we are on the very cusp of huge social and intellectual revolution; and your comments are very pertinent. But a great ‘retour aux sources’ is inevitable. It is very gratifying to contemplate that when this moment comes, we will be hugely vindicated! That is bizarre! – again, an East European connection…! Maybe she felt she had to be a grandee in partibus infidelium! I guess Ransome, given his guilt over the Morrocan slippers, wanted to dodge the emotional issues…so delegated; just like Seamus Heaney and Northern Ireland. The cut you refer to sounds just like a standard and unthinking bit of topiary from an incomprehending apparatchik (there, I have used that word now!). On this issue, I’m lucky that this week I get into print: and luckier still that I won all the important arguments about what gets left in! As a film maker you will have an especial sensitivity to all that! Well done. I cut savagely and readily accept editorial advice, perhaps to readily. When ‘Swallows & Amazons’ is shown on TV, they cut out the scene with the native on the jetty! Sophie – I’m happy to be quoted, though for me to do a proper quotable critique of the enduring nature of AR’s books would bite far too much into my days (you mustn’t tempt PhD students from their desks…..); if you can wait a couple of years I’ll be in there brandishing my literary torch! 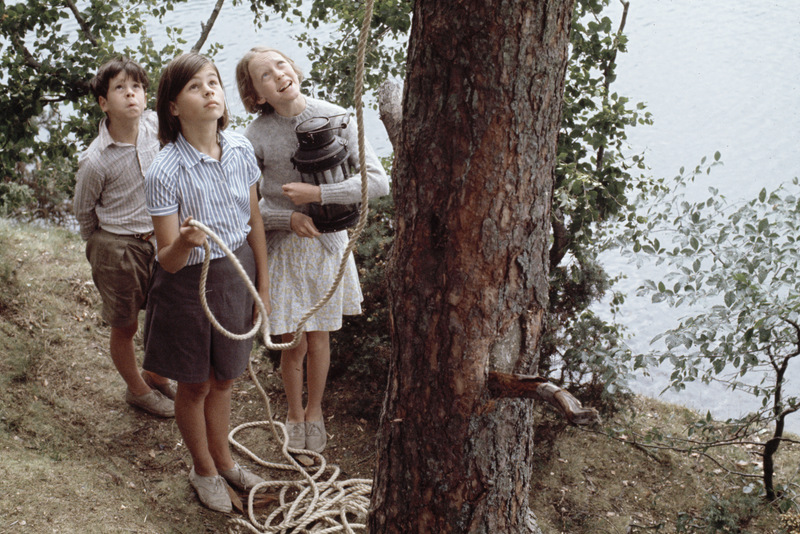 My original piece on allthingsransome took the technical view, that unlike the classic Blyton scenario (children on harmless camping holiday, sinister castle at top of hill infested by Bondesque villains), one factor (of many) in the enduring joy of the books is that the adventures are driven by the characters of the individual children. I’m certainly simplifying (I always enjoyed Blyton, and Black Jake in PD is certainly an external villain), and there is much more to say. Reporting by telegram – as with short quotes – is good. Dear Jill – I have quoted you briefly in the latest post on my web-site. Do let me know if I need to change anything. I wanted to encourage the post card company and spur Ransome readers on to write on-line reviews of the books – if only brief ones, as it helps keeps up an interest in S&A. I think Caroline Lawrence is right that ‘nothing happens in the books that couldn’t really have happened’. So many sneerers at ‘middle-class children and their sailing-boats’ forget that the Swallows don’t own ‘Swallow’ – they’re having a farmhouse holiday and the boat belongs to the farm, and that could just have happened to any of us. Norman Willis, your splendid predecessor, used to rise up against critics who considered that children from poorer backgrounds should read books full of gritty reality related to their daily lives: he pointed out that they wanted to escape from their daily lives for a few precious hours, not always into a zone of dragons and princesses but into an alternative realistic world. @mfmsm Jill G remarked in passing about ATR (All Things Ransome) which is a website dedicated to AR, his life and works, and intended as a repository and resource for researchers. ATR has sections on Ransome’s work, literary comment thereupon, reviews, and so forth especially within the Literary Pages section of the website. You should really consider consolidating your thoughts and producing a cogent essay for submission to ATR; if the directors approve it, it will become as it were a permanent part of the collection. Not exclusive to posting on this or other blogs but blogs by nature are somewhat ephemeral, whereas our goal with ATR is to provide a long-term “permanent” repository. I’m sure your perspective and thoughts, organized and presented, will make a persuasive case for inclusion. I feel I am yet to qualify as a model student! I have been discussing this today, and we thought that Tbilisi State University might be a good venue. But is there a chance that you could give the talk after your return from safari rather than before it on the 2nd? This is because the students will be back by then and so there would be a better chance of a good and interested audience…. That sounds wonderful. I can ask about the date. Perhaps I could stay a day longer than the others in the party. I haven’t booked flights yet. I have a power point presentation I could bring on a memory stick. I’d need a laptop, projector and screen you end. Otherwise you can show the film (in English) and I can answer questions afterwards. What size audience would you expect? Hello Sophie. That sounds great. We would have to set it in context, however, remembering that it is a University with no previous knowledge of the book or film or cultural context, depending on how your presentation is tailored. It would very much be ‘telling it to the children’ – as my father used to say; language wise as not all will be fluent listeners to English and culturally too. My long-range thought is: why not show Kes (short version) as well, as I have views on that. Then we could have two wonderfully contrasting landscapes and diverging social groups in the spotlight. It would also allow me (briefly) to make the case for literature, country and cultural knowledge driving language learning, not that I want to steal your thunder! I think the social values Swallows and Amazons enshrine would be a particularly relevant angle, as Georgia is agonizing just now about whether to be a progressive or traditional society – which is exactly why films from the Seventies or thereabouts appeal: they match tensions which are very real for today’s Georgians. Most of my talks are given to adults. What would the students long to know about? I will give it some thought. Kes is now at https://www.scribd.com/doc/265479963/KES-final-Script (with link to film) – this is my next teaching project. The ride ends on 12th, so it could possibly be that evening or on the 13th. I might need to stay over for a couple of nights. I hope you enjoy my new post – in which you are quoted! Hopefully it will spur an interesting discussion. We have the TARS IAGM starting in Suffolk on Friday so this has been a good excuse to talk about the books and help the Wooden Postcard company.